Fiona has been passionate about developing her own Coaching skills since she completed the Btec Level 4 Course in 2011. Since then, her career has rocketed and developed into many different areas. In 2014, she was repeatedly contacted by ADIs who were unsuccessful at the Standards Checks. Those ADIs had seen her regular social media activity and local Coaching course deliveries, so trusted her skill set in relation to their own development in Client Centred Learning. Standards Check training is now a regular part of her diary, both with Day courses and One to One sessions on offer. Her Coaching skills were recognised in relation to her appointments for Speed Awareness and Driver Alertness Courses in Essex. She holds NSAC and NDAC Licences from NDORS. Fleet Training became possible through Tri Coaching Partnership and their firm links with Lisa Dorn's DriverMetrics Company. Fiona is a DriverMetrics Accredited Coach. Fiona developed her own Car & Diagram Sets for use with ADIs and their Student Drivers. The idea is one she developed for personal use when she was a PDI herself around 2002. The simple and very basic diagrams used in conjunction with the little cars are geared specifically for interaction from both Learner and ADI. Fiona's preference to 'hand the diagrams over' with the little cars so that the pupil will be encouraged to problem solve and work out their own action plans. Very useful especially relating to the current Standards Check criteria. Tri-Coaching Partnership were impressed with the potential; and requested dual branding of Fiona's Car & Diagram Sets. 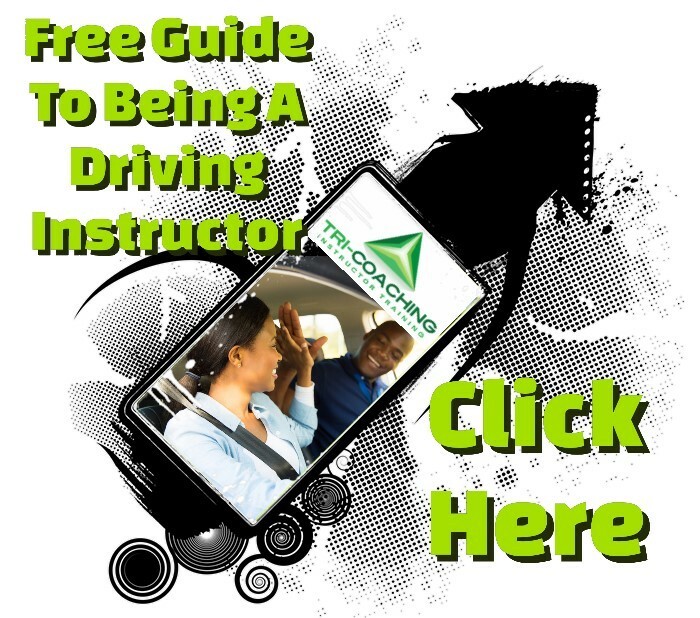 The Sets are now included as standard in the TCIT PDI Driving Instructor Training packs alongside all the TCIT manuals and basic text books. Fiona feels her biggest achievement in recent months has been to be asked to deliver the Btec Level 4 in Coaching for Driver Development on behalf of Tri-Coaching Partnership. "It was one of those dreams I had that actually came true!" was Fiona's response to the accolade! "What a privilege to be asked! The Btec Level 4 has been the best thing I have ever done professionally!" “Thank you so much for meeting up with me, it has given me some of the confidence I was lacking to go on to give a better lesson to my pupils. I love the training aid of the cars and road layouts and find myself using them everyday as the pupils seem to get to grips with this better than the lesson planner I was previously using….you are a very kind and informative person and I am so glad that you was recommended to me. I would definately recommend you to anyone struggling with their part 3 or Standards Check. “… thank-you so much for all your time and expertise, it really has been invaluable. Without the understanding you gave me I really do think I would be looking at my final attempt. It is also very refreshing to have a fresh approach to teaching, which Is something I am looking forward to continuing with. Thanks again and hope to meet you again in the future. “I came accross Fiona when I was desperately searching for someone who can give me some training to prepare me for my Standards Check Test which was just over a week away at the time. I’ve never had a check test or standards check test before, therefore, I was feeling quite stressed over it. I had taken a break from instruction for around seven months so when the standards check test loomed over me, I naturally panicked. Having called few people who was quite happy to book me in for training without so much as finding out what my needs are and as a last minute decision to call Fiona was definitely the best move I’ve ever done. Fiona was good enough to call me and having spoken for almost an hour on the phone, my mind was put at ease and she convinced me that going for my standards check test is not as scary as I thought. Unlike the others, Fiona actually explained to me that perhaps I don’t need additional training once she had an opportunity to talk to me. She sent me some material to read via email and offered further advice by sms. I thought I would send you a quick email in praise of Fiona. I found Fiona was a fantastic help in putting into practice all that we had learned and in using the grow model. Fiona is very professional and it was clear that she has an amazing understanding of coaching and that gave me great confidence in using it. I learnt a lot from the in car coaching day and more importantly Fiona. Please pass my thanks and sincerest appreciation on to Fiona. I will also send you a testimonial when i have completed the course but thank you both also for all your help this truly is a life changing course and that is down to your belief in your product. “Hi Fiona,This is a massive big thank you for your guidance and coaching (CCL), which helped me to pass my Standards Check. Without your help, I would have lost my ADI. I have already recommend a fellow colleague to you, as you really know your stuff. Any ADI who is struggling with the Standards Check, like I was! Just listen to Fiona, and you will achieve your objective. This year has seen a marked change in the way I approach learner training. The client based learning has given me so much more by way of interaction and the techniques that I learned during my recent aCCelerate and Coaching course Level 3 has given me some very useful training aids. In addition, I have recently qualified as a PCV Driving Instructor and used the coaching methods learned during the aCCelerate qualification with the examiner giving me much praise for the methods I was using, so it is not restricted to Cat B learner drivers, but very much works across the board. An excellent course and I would highly recommend it to any ADI who was looking for a different approach. Fiona with her mentoring skills was a dream to work with and her techniques for getting the best out of people really worked. Alan J Barker BA DSA ADI. Into 4th year as a driving instructor, and recently failed my Standards Check. With 2 hour lesson from Fiona, to understand and use Coaching and to confirm my understanding of the new Standards Check using coaching, Today I passed and given amazing feedback from examiner. Coaching is my way forward and my pupils seem to love it. Fiona you listened and helped me in the areas I needed. Thank you Fiona couldn’t have passed without you. As I had a 1hr taster lesson with beginner straight after , I took the bull by the horns !!!! I had no idea of area other than it had a nice long, straight,wide, road that was quiet too ! The lad had been practicing in his mums Mini Cooper S’ round the church car park getting up to 3rd gear ! i asked how he liked to learn ? reply , very hands on !! so i thought what the hell , lets give it a go !! we swapped seats & quickly went through basics to confirm he had some idea of what to do ? after a little agreed guidence on smoothing out clutch , we were flying down the road @ 30mph !! I felt very vulnerable &everything in me wanted to say slow down a little ! but instead I asked him to pull over safely ,which he did , then I asked if he felt comfortable & in control ? he replied . no ! I was s##t scared !! so I asked how he thought I felt !! & what he could do to make us both feel safer ??? the rest of the drive was totally controlled & safe !! I cant say I particularly enjoyed it but he certainly did & I can see the benefits so I shall persevere !! “Hi all just like to share a shining light moment. A bit or reassurance and talking and the nxt crossroads, not a problem and my girl was so happy. So happy that we popped on a cd and she sang all the way home, safely. “I would just like to say the Biggest thank you to Fiona for all your help & encouragement on helping me achieve my Btec 3 which I found out I passed today. Fiona knows as many others that I am not a very confident person but since meeting Fiona on the aCCeLerate course her enthusiasm, kindness & support has helped me achieve this award which in return has gave me the confidence to carry onto the Btec 4 which I’d like to start next year!